You’ll be hooked! 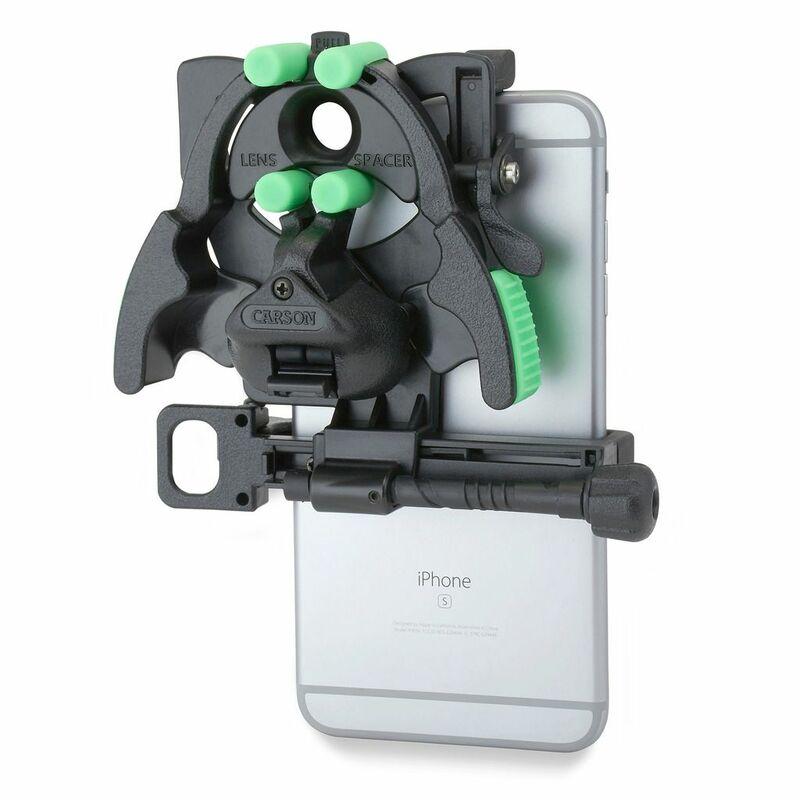 The optics industry leader, Carson, just released their latest innovation, the HookUpz 2.0 Smartphone Optics Adaptor. This patented optics adaptor easily connects to your smartphone or phablet and a variety of optical devices such as binoculars, monocular, spotting scopes, telescopes, and night vision scopes. This allows you to take pictures and videos with your smartphone or phablet through the magnified eyes of the optic of your choice! No need to take your phone out of its case nor remove it from the HookUpz 2.0 to share those great shots or videos with your friends – all needed phone keys are useable while attached to the HookUpz 2.0. The adaptor comes with a handy carrying case to protect it from damage, and Carson’s website has some helpful videos to get you set up. Such a great gadget to take with you on your next nature hike or night sky viewing adventure!